"Tell me about these Stooges." Delores: You don't know my name, do you? 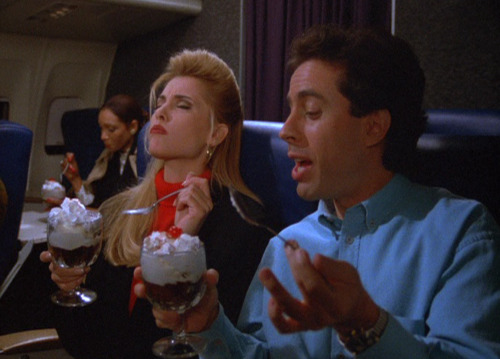 JERRY: Here we go... apple pie! Best apple pie in the city. Delicious. I'm not waiting for you. Take some. 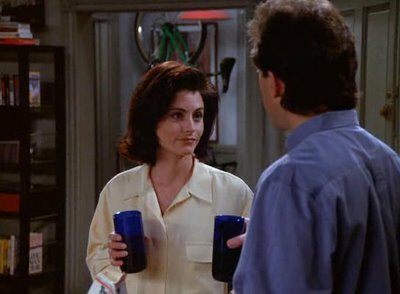 JERRY: Oh...yeah...you've never met my wife, Meryl? 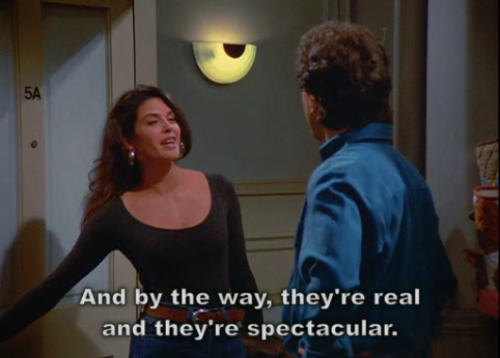 Meryl Seinfeld. CLEANER: Sure, you get the discount, too. 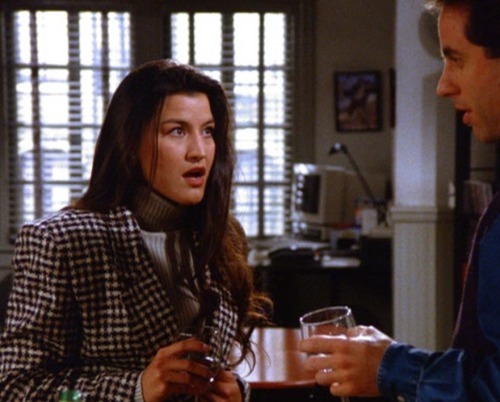 Newman: Oh, chocolates . . . Margaret? 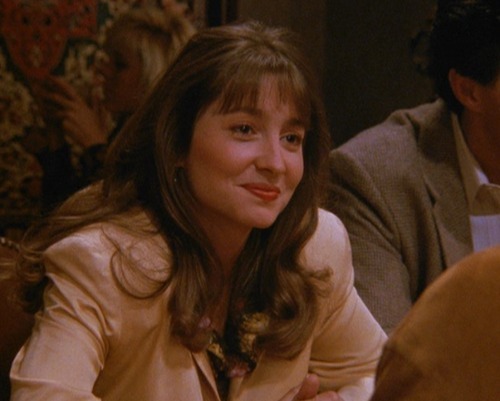 Jerry: YOU went out with . . . Newman? Margaret: Look I'm a little uncomfortable talking about this okay? 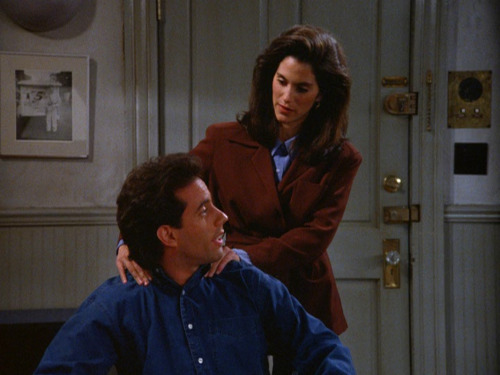 Jerry: No, I'm sorry. I'm just a little curious. I mean why did you stop seeing him. Kristin: You got the card I sent? Kristin: So where is it? Kristin: The card. Is this it in the trash? Kristin: This is my card, you threw it away. Kristin: I put a lot of thought into this card. 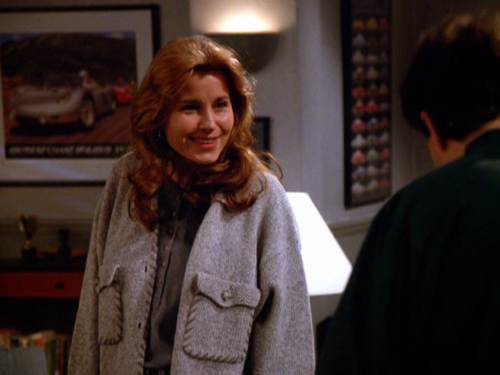 Jerry: You signed your name and you addressed the envelope, it's not like you painted the picture and wrote the poem. Kristin: Fine. I gotta get back to the office. Jerry: Why, because I threw the card out? How long was I supposed to save it? Kristin: You have no sentimentality. 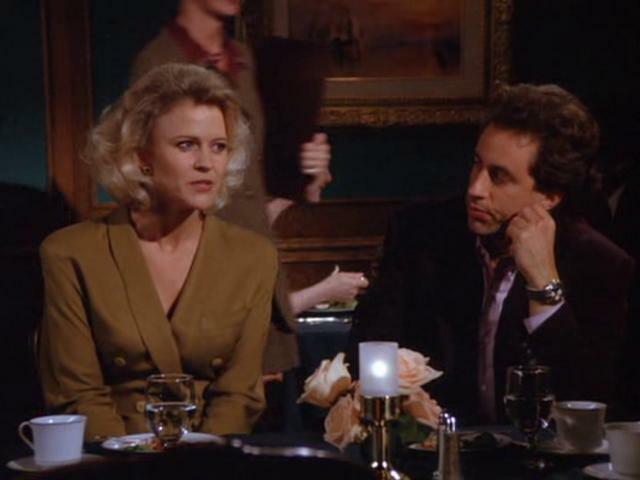 Jerry: I have sentimentality, really, I'm sentimental. Here, look. Here's some cards I've saved, these are birthday cards from my grandmother, see, I'm not a bad guy. "When we were little girls Grandma Memma would take us to a matinee and then dinner here." CHRISTIE: I think your friend needs some help over there.